(Bloomberg) -- The proud beef nation of Argentina may find this tough to swallow: As more of its flavorsome grass-fed cuts are shipped to China, diners at home may increasingly find themselves eating beef products from Brazil. In San Jorge, a small town in the Argentine province of Santa Fe, a plant now run by Brazilian powerhouse Marfrig Global Foods SA processes 30 trucks, or 750 metric tons, of Brazilian beef each month, churning out hamburgers and sausages for domestic consumption. 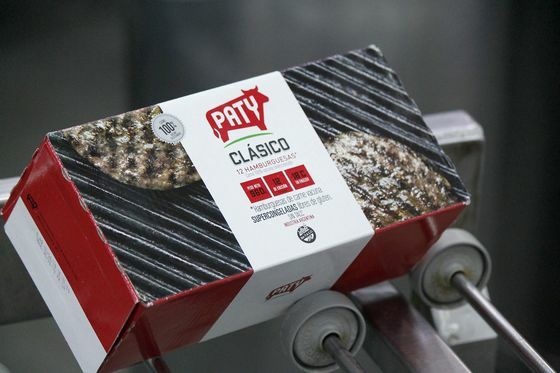 As a result, a third of Quickfood’s popular Paty burgers -- which account for more than half of Argentine retail sales -- are now being made from beef that comes from Marfrig meatpacking plants in Brazil. That portion is set to rise, according to Gustavo Kahl, the unit’s chief executive officer.